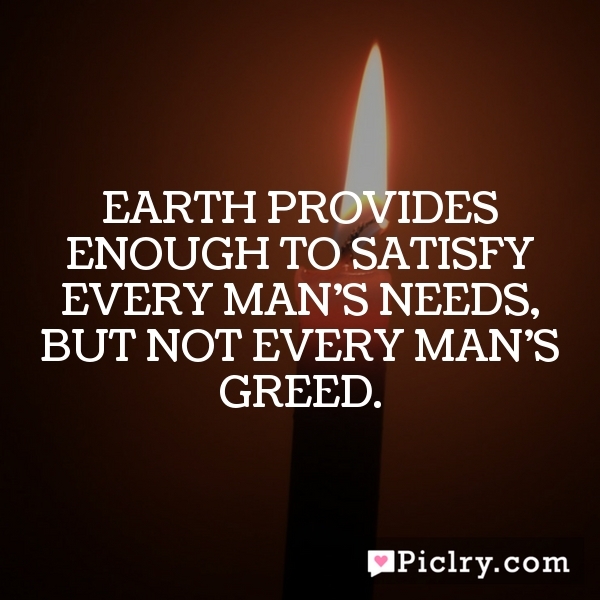 Meaning of Earth provides enough to satisfy every man's needs, but not every man's greed. …because if you can make yourself happy in the rain then you’re doing pretty alright in life. Learn to cherish the chase as much as you treasure the trophy. Focus on the end, not the beginning- on the beginning not the end- The process proceeds in the inner dimension.